Novartis (NYSE:NVS) closed the spinout of its Alcon vision care business, setting the stage for its shares to begin trading today in Switzerland and New York. The spinout, announced last June, saw each Novartis shareholder receive a single ALC share for every five NVS shares as of the close of business April 1, Novartis said last month. Alcon’s share of the roughly $23 billion vision market was 30.9% last year at $7.1 billion, with surgical revenues up 7% to $4.0 billion and vision care sales up 3% to $3.1 billion compared with 2017, the Geneva-based company said. Novartis bought Alcon in 2010 after a years-long courtship. Johnson & Johnson (NYSE:JNJ) is reportedly planning to expand its vision business in Ireland with a €100 million project that’s slated to add 100 jobs to the local economy. The plant in Limerick is expected to bring 100 permanent jobs on top of 200 temporary construction jobs, Silicon Republic reported. “We believe that the new manufacturing roles being introduced in Limerick in 2019 will be foundational in helping us bring new, innovative contact lens products to our patients and customers around the world at an industry-leading pace,” J&J Vision Care plant leader John Lynch said. J&J Vision employs roughly 1,000 people in Limerick, according to the website. Last week Edwards Lifesciences (NYSE:EW) said it’s looking to open a new facility in Limerick that could bring in up to 600 new jobs for the region. The post Report: J&J plans €100m expansion in Ireland, to add 100 jobs appeared first on MassDevice. The post Novartis plans Alcon spinout for early April appeared first on MassDevice. 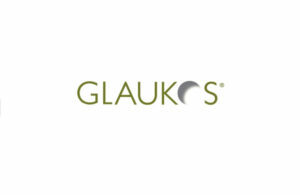 FDA has upgraded a recall of the Raindrop corneal inlay to Class I, the most serious designation. Developed by the now-defunct ReVision Optics, the inlay was designed to treat presbyopia. But 75% of patients in a post-approval surveillance study developed corneal hazing. ReVision closed its doors last year; RVO 2.0, doing business as Optics Medical, now owns the Raindrop device and initiated the recall in November, advising customers not to implant the inlay devices. Raindrop is banned from distribution in the U.S., according to FDA. Lake Forest, Calif.-based ReVision won pre-market approval from the FDA in June 2016 for the Raindrop inlay to treat presbyopia. The device is a microscopic hydrogel inlay placed in the cornea of the patient’s non-dominant eye during a 10-minute procedure to reshape the anterior curvature of the cornea. The recall covers 2,869 devices distributed between August 2016 and March 2018. FDA issued a safety communication in October, citing a five-year, 150-patient post-approval study. Interim data showed a 42% rate of central corneal haze (63/150), a 75% rate of any corneal haze (113/150) and a 23.3% rate of device removal to date (35/150); of those, some 31% (11/35) had their Raindrop implant removed due to corneal haze, according to the agency. FDA had initially cleared Raindrop based on two-year clinical data showing a 16.1% rate of central corneal haze (60 of 373 patients), a 1.1% rate of patients with two or more lines of loss in vision (4/373) and a device removal rate of 6.4% (24/373); some 29% of those removals were due to corneal haze (7/24), the agency said. FDA said it began working with Optics Medical last year to remove the product from the market. The post FDA slaps Class 1 designation on corneal implant recall appeared first on MassDevice. What should the Mann Foundation do next? Dr. Robert Greenberg, the Mann Foundation’s new executive chairman, has ideas about where to take one of medtech’s top research and development outfits. 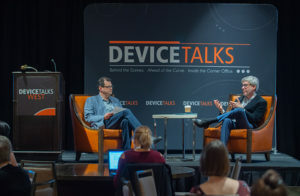 He explained more at DeviceTalks West in December. The new executive chairman of the Alfred E. Mann Foundation for Scientific Research sees the foundation continuing its mission of developing devices for unmet medical needs. The foundation for the first time is also inviting outside companies to use its resources. Founded in 1985, the Valencia-Calif.–based foundation has launched several innovative companies, including Second Sight Medical Products (NSDQ:EYES), which makes devices for the visually impaired; cochlear implant manufacturer Advanced Bionics, now a subsidiary of Sonova Holding AG (SIX:SOON); and MiniMed, developer of a hybrid closed-loop insulin delivery system, now part of Medtronic (NYSE:MDT). The post What should the Mann Foundation do next? appeared first on MassDevice. https://www.captis.com/wp-content/uploads/2018/12/Brad-and-Gary-300x196.jpg 196 300 CAPTIS https://www.captis.com/wp-content/uploads/2016/11/logo_transp_top_final.png CAPTIS2018-12-31 13:26:382018-12-31 14:31:28What should the Mann Foundation do next? Ophthalmic diagnostic services company Notal Vision said it has won breakthrough device designation for its artificial-intelligence-aided macular degeneration diagnostic device. 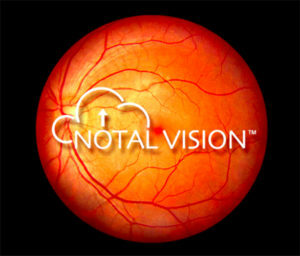 Privately-held Notal (Manassas, Va.) said its home-based optical coherence tomography (OCT) system was designed to automatically identify intra- and/or subretinal fluid in the central 10 degrees of eyes diagnosed with exudative age-related macular degeneration (eAMD). The Notal Home OCT device is intended for testing at home between regularly scheduled clinic assessments and not intended to replace standard-of-care regularly scheduled examinations and clinical testing by an ophthalmic retinal specialist, the company said. The post Notal Vision snags breakthrough designation for home OCT system appeared first on MassDevice. Pixium Vision said today that its Prima miniature wireless photovoltaic sub-retinal implant has been activated in the first five patients. The patients all have severe vision loss from atrophic dry age-related macular degeneration. They are enrolled in a three-year clinical study in France to evaluate the safety and function of the Prima chip in eliciting visual light perception, the company said in a statement. All five reported seeing useful light patterns in areas where they had had no remaining light perception. The current study patients will be taught how to interpret their new artificial central macular perception. The post Pixium Vision’s novel Prima chip helps patients see the light appeared first on MassDevice.